An organization with a rich history of successful starting pitchers, the Los Angeles Dodgers have a young crop of arms that rivals what’s found in any other farm system. Los Angeles went heavy on pitching in the 2015 draft and also in the current international signing period. The recent additions joined a group of prospects that includes other Dodgers draftees in Chris Anderson, Jose De Leon, Zach Lee and Julio Urias. The left-handed Urias is the most heralded pitching prospect in the organization, though De Leon is quickly gaining steam. He was recently named the fifth-best right-handed prospect by MLB.com, and was among those who received a non-roster invitation to big league camp this spring. De Leon was taken in the 24th round of the 2013 draft and has quickly shot up the Minor League ranks. De Leon began last season with High-A Rancho Cucamonga, where he went 4-1 with a 2.15 ERA, 0.90 WHIP and averaged 13.9 strikeouts per nine innings over seven starts (37.2 innings). He then joined Double-A Tulsa, making his debut on May 22. 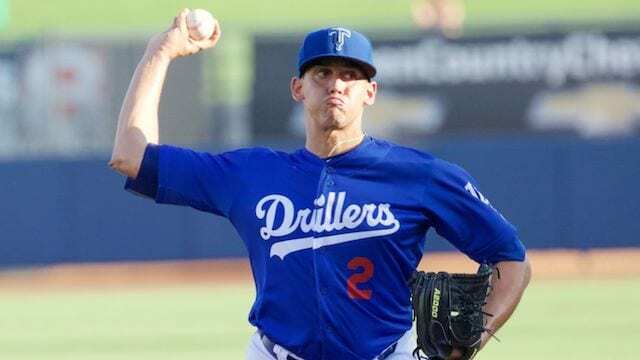 In 16 starts with the Drillers, De Leon was 2-6 with a 4.11 ERA and 1.17 WHIP. His strikeouts per nine innings dropped a tick, but remained an impressive 12.3 over 76.2 innings pitched. With an overall average of 12.8 strikeouts per nine innings last season, it marked the second consecutive year De Leon has led all Minor League pitchers in that category (minimum 75 innings). 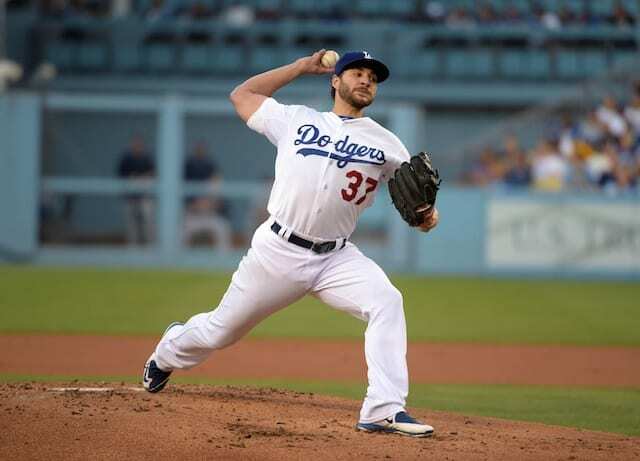 De Leon specifically hopes to take advantage of being alongside Major League pitchers this spring by learning from Clayton Kershaw.